Scientists, professors, or researchers (who are current University faculty), attending cultural, technological, or scientific conferences, seminars or meeting (services provided must not be paid by organizations/companies in Brazil, except for reimbursement of expenses or per diem allowances). An invitation from the host organization would usually be required. Participation in artistic or amateur sport competitions, whenever no monetary prize or paid admission is involved. An invitation from the host organization would usually be required. Please make sure your signature is only in the signature box. If you have a middle name on your passport please put it next to your first name on your application so it will print out on your application. Once you reach the site, please find the “Visa Request” link in the third box on the left. Applicants under 18 year of age are considered MINORS and DO NOT SIGN THEIR VISA APPLICATION FORMS. Both parents must fill out and sign the “AUTHORIZATION FOR ISSUANCE OF BRAZILIAN VISA FOR MINOR” form and the minor’s visa application form. Their signatures on the authorization form and the visa application form must be notarized. 1.A valid, signed US passport. The passport must have at least 6 months remaining after the completion of your stay in Brazil, and contain at least two consecutive blank visa pages. Side by side blank pages. Please make sure your signature is only in the signature box .Make sure to sign INSIDE THE BOX -Please say within the box when signing. If you have a middle name on your passport please put it next to your first name on your application so it will print out on your application. Your signature must be within the Rectangle on the application form, NOT below the Rectangle. The Brazilian visa application must be submitted within one month of completion or it will expire. Please send within 30 days of completing the application online. 6. If both parents are not on your Birth Certificate you will need a Notarized Copy. If you do not mention both parents names on your visa application, a Notarized copy of your birth certificate, showing only the one parent, is required. 7. International Certificate of Vaccination for Yellow Fever Required if a Arriving from an infected area within 90 Days. Persons making short visits to religious organizations, churches, missionaries, or humanitarian organizations in Brazil, should present a letter from the church or institution responsible for organizing the trip. The letter should explain what the group is going to do in Brazil, the name and contact information of the institution they will be visiting and what kind of volunteer assistance they will provide (brief or incomplete explanations are usually rejected, causing delays). For business meetings, negotiations, sales and marketing only. Valid signed US Passport, must be valid for 6 months from date of entry, and contain two consecutive blank visa pages. Side by side blank pages. 7. Copy of round trip ticket, or itinerary from an air carrier or travel agent attesting to the acquisition of the ticket, showing flight information and dates of departure to and from Brazil. 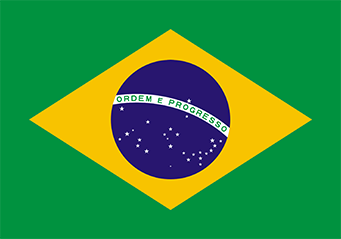 Brazilian visas are usually good for multiple entries for the term of the visa’s duration. International Certificate of Vaccination for Yellow Fever Required if a Arriving from an infected area within 90 Days. Consulate Fee VITUR (Tourist) and VITEM II( Business): $160.00 Non-technical Validity 10 year multiple entry for US Citizens. Consulate fees must be paid by US POSTAL money order which can ONLY be purchased at your local post office. If you would prefer for IRATEX to make the money order for you, there will be a $10.00 MONEY ORDER FEE incurred to cover the cost and time to obtain it. Application Prep fee $35.00 includes all uploads of documentation. Occupation – if client is unemployed, student, retired or a domestic engineer (formally know as a House Wife) you will list that title and use their home address as the address of employer. This information can not be left blank. allows you to modify the photo colors and adjust the size and position of the photos in this application. This is a free program that you may download for your use. Only Signature and Photo should be uploaded. Please do not upload any other documentation. 8-21-2018 New Requirement for Work, Cultural or Student Visa’s For a (work, cultural, student visa, presentation of the applicant’s birth certificate, duly apostilled, is required by the Federal Police when the applicants register in Brazil.